The best way to have a fighting chance is to know and stand up for your rights. Exercise your right not to make incriminating statements. Always have your license and registration easily accessible whenever you are driving because that is usually the first request when pulled over. A common DWI myth is that you can’t refuse filed sobriety tests in North Carolina or that if you refuse to blow into the portable alco-sensor you will lose your license. FACT: Although your refusal to take field sobriety tests is admissible in Court (see NCGS 20-139.1(f)), they are nearly impossible to pass under the best of circumstances. If they have probable cause to arrest and you refuse to blow into the Intoxilizer downtown or in the portable BAT mobile then you may be subject to a one (1) year civil revocation of your license. Don’t forget the only sure way to beat a DWI in North Carolina is to never drink and drive. 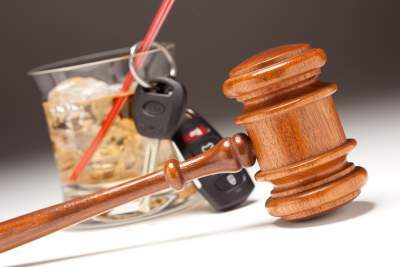 What are my rights in a DWI? 1. You have the right to not answer questions. 2. You have the right to refuse all sobriety tests. Generally speaking the answer is no. They are totally subjective in grading and they allow the officer to create probable cause to arrest. Finally, you can and usually should refuse to blow into the portable handheld breathalyzer, which is quite different than the full size Intoxilizer. Should I blow into the Intoxilizer? This is a difficult question to answer as there is the one (1) year civil revocation penalty that may result by refusal, not to mention refusing to blow downtown may be used against you in Court. But always remember you can and should call a witness and have 30 minutes to wait before they arrive. You should always exercise this right as it gives your body an extra 30 minutes to process any alcohol. Also be aware that if you refuse to blow a magistrate may order a blood sample taken without your consent. What should I do if pulled over for DWI? 1. Have you license and registration readily available at all times to the hand to the officer. The officer has been trained to ask you for two things at once. This is called a divided attention test. Failure to produce both, fumbling to produce both, or failing to answer compound questions accurately and quickly enough are clues of impairment. 2. Do not have gum or mints in your mouth as they are interpreted as evidence that you are trying to mask the smell of alcohol. 4. Understand you may refuse to answer any questions and admitting to any drinking will be used against you in Court. Even if you say you only had a couple drinks! 5. If the officer asks you to step out of the car you must. Do not put your hands on the car or lean on anything as this is a clue of impairment. 6. The next thing you can expect is the officer shining a light in your eyes to check if they are red shot. They may even ask you to follow a light with your eyes. This is one of several NC field sobriety tests called the "HGN" or Horizontal Nystagmus Test. You should refuse this test! 7. If an officer asks you to count backwards- YOU SHOULD REFUSE. 8. If an officer asks you to walk a straight line- YOU SHOULD REFUSE. 9. If an officer asks you to stand on one leg- YOU SHOULD REFUSE. 10. If an officer asks you to blow into a portable alcohol sensor. YOU SHOULD REFUSE.